Get Smart and Fifty First Dates director Peter Segal has been tapped by Disney to direct a fantasy film entitled Goblins. 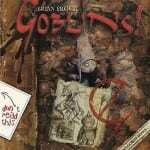 Deadline Hollywood carries the story about Disney’s possible new franchise based off Ari Berk’s book Goblins! A Survival Guide and Fiasco in Four Parts. Segal will partner with Michael Ewing to transform the book into a movie. While Ari Berk is a popular children’s author, with thirteen books under his name, people might be more familiar with the artist of Goblins! A Survival Guide and Fiasco in Four Parts. 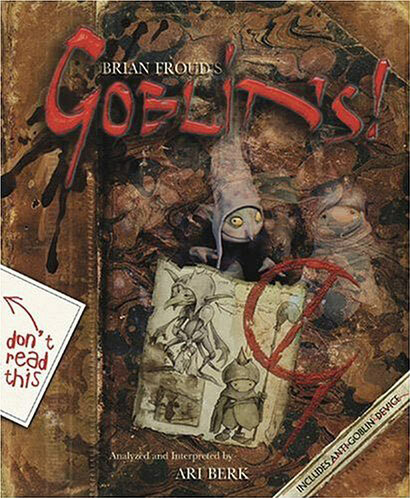 Hugo Award-winning artist Brian Froud illustrated the book and he’s not a stranger to goblins. Froud is best known for being Jim Henson’s conceptual designer for the cult classics The Dark Crystal and Labyrinth. He designed all the mischievous goblins that ran through Labyrinth and his book The Goblins of the Labyrinth. Tom Astle & Matt Ember have been set to script the adaptation, with Berk and Froud executive producing. This reunites Segal, Ewing, Astle and Ember with Alan Horn; they all teamed at Warner Bros on the 2008 comedy Get Smart, which grossed over $230 million worldwide. Froud fans will be eager to see more of his work on the silver screen. Disney also has the opportunity to develop a new fantasy franchise. Do you think the new Goblins movie will design the goblins to be different or an homage to Labyrinth’s critters? Whitney Grace holds a BA in Hispanic Language and Studies as well as a Master's in Information Sciences. She's professional writer, reviewer, and editor with over fifteen years experience with a specialized interested in comic books, animation, and geek culture. Her work has appeared in Animerica and Comic Buyer's Guide. She hosts the brand new Toon-In Talk podcast, your rendezvous for animation interviews. She also reviews comic books and interviews comic creators for FanboyNation.com. Her work can also be seen on ToughPigs.com and the Rotoscopers.com. Whitney recently signed a book deal with McFarland Publishing and continues to work on her young adult graphic novel Blood, Feather, and Stone.